Feast your eyes on this mouthwatering treat! This cool and creamy dessert is perfect for a hot summer barbecue, get together, potluck or party. One bite of this pudding and you will be hooked! This is my “go to” dessert for all occasions. I even made this once for Thanksgiving! 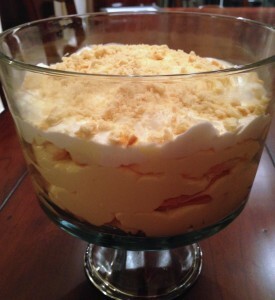 Trust me when I say, you will never taste a banana pudding like this!